This high speed train was created by CSR Corporation which is based in Qingdao in eastern Shandong province. 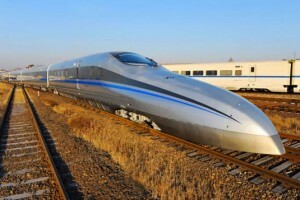 Also it has been tested by the Chinese government, this prototype bullet train capable of hitting 310 miles per hour. 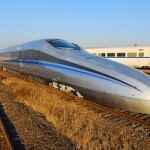 However, Chinese trains will not necessarily run at such high speeds as that demonstrated in the newly tested high speed train. “We aim to ensure the safety of train operations.” Said The CSR chair Zhao Xiaogang told the Beijing Morning News. This newly tested superfast train is made from lightweight plastic reinforced by carbon fiber and magnesium alloy.